High Performance Vail Snowmobiling Tours offer forested trails, wide open meadows and high alpine bowls - chock full of Colorado's famous champagne powder. 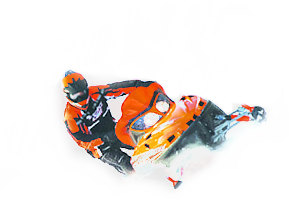 Our High Performance Vail Snowmobile Tours were designed for riders seeking a full-throttle snowmobiling experience in some of the most adventurous terrain that Colorado has to offer. These tours are highlighted by an upgrade to powerful, Ski-Doo Summit Series machines, equipped with paddle tracks that provide access to deep powder fields and high alpine bowls. Adventurous snowmobilers can choose from a Full Day or Half Day Tour based out of historic Camp Hale. Tours ascend to elevations of 12,500 feet atop the Continental Divide, providing riders with stunning views of Colorado’s highest mountain summits. 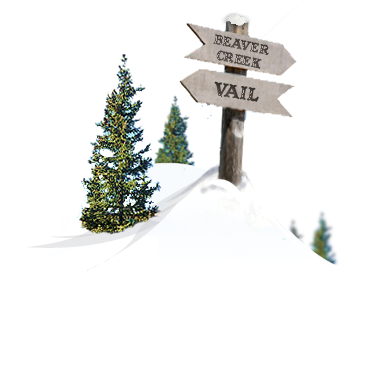 All High Performance Vail Snowmobiling Tours include complimentary transportation, professional guide, helmets, boots, and snowsuits. The morning Full Day Tour and Morning Half Day Tour include lunch, while the Afternoon Half Day Tour includes a hot beverage - all served in a gorgeous 5,000 square foot lodge. This tour does not allow for double riders due to the more agressive nature of the terrain it accesses. * Tour times include door to door transportation. * Please call for drive-up tour times. * Prices do not include $6.00 USFS Trail Use Fee for participants ages 15 and older. To book your High Performance Snowmobiling in Vail, Avon, Beaver Creek or Edwards, Colorado contact us toll free at 1.866.998.0696 or locally at 970.455.4040. 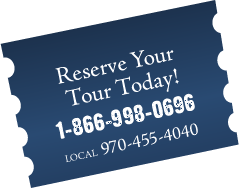 High Performance Snowmobile Tours are available for single riders only. Previous snowmobiling experience is highly recommended for this tour. 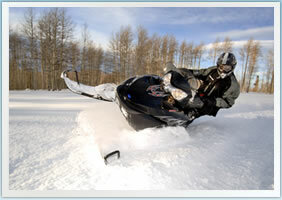 A credit card imprint, serving as a damage deposit, is required on all Vail Snowmobile Tours. Snowmobile drivers must be 16 years of age on all High Performance Tours.